Family 1 ELIZABETH GAGE, b. 12 Mar 1674, Bradford, Essex Co., Mass. 1. Hannah Kimball, b. 15 Sep 1695, Bradford, Essex Co., Mass. 2. SAMUEL KIMBALL, b. 14 Jan 1697, Bradford, Essex Co., Mass. 3. Hannah Kimball, b. 10 Mar 1698, Bradford, Essex Co., Mass. 4. David Kimball, b. 1700, Bradford, Essex Co., Mass. 7. Jeremiah Kimball, b. 15 Oct 1707, Bradford, Essex Co., Mass. 1. Ruth Kimball, b. 4 Sep 1719, Bradford, Essex Co., Mass. 2. Abigail Kimball, b. 28 Apr 1723, Bradford, Essex Co., Mass. 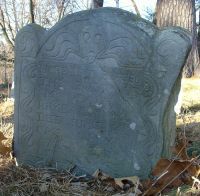 [S262] Some Descendants of John Gage of Ipswich, Mass., Gage, Arthur E.